Don’t let your dental emergency turn into the next horror story. 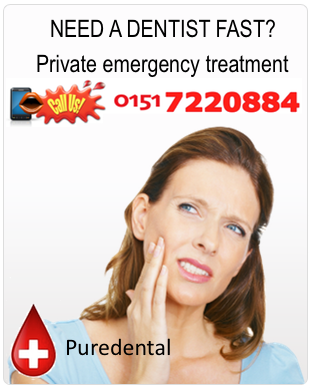 If you think you may have a dental emergency, contact Puredental right away. If left untreated, your symptoms may worsen and – in some extreme cases – affect your health. It’s never advisable to resort to self-treatment, but even if you’ve attempted to repair or treat your issue yourself, don’t let this put you off from contacting us and seeing a professional dentist. The sooner the better. If your emergency involves an injury of some sort, don’t hesitate to contact us immediately. Left untreated, dental injuries can result in unnecessary agony, permanent damage to your face, bones and teeth.